At Cragmont Elementary, we are dedicated to providing an outstanding education for all students while laying the foundation for each child’s personal success. Our programs combine academic rigor and intellectual challenge with strong support for students of all abilities. We emphasize the fundamentals of reading comprehension, clear writing, and basic mathematics. Strongly integrated with this core emphasis are programs in science, technology, art, dance, and music. Our core values are courage, active listening, respect, excellence, self control and, being Respectful, Responsible and Safe. We believe that an education is not just completing school, it is a way of being—one that embraces all of an individual’s facets and strengths, is committed to living a moral life, and faces each day with eyes, heart, and mind wide open. Cragmont has approximately 400 students of diverse ethnic and socio-economic make up : 35% Caucasian, 23% African-American, 27% Latino, 12% Multi-Ethnic and 3% Asian. Last year 38% or our population received free or reduced price lunch. Our average class size is reported to be higher than the District average. Our percentage of English Learners is 17% and the District Average is 20%.The Demographic trends chart (above) shows that our school’s demographic make-up has remained fairly consistent with slight growth in socioeconomic disadvantage group. Our school is built against a gentle curving hillside, and sitting on a 3.34 acre lot with million-dollar views of the Bay, Cragmont was designed with child-friendliness in mind; from its rich, inviting color scheme to its generous playground and playing fields. Inside, staff and students enjoy 50,000 sq. feet of classrooms that are lit by broad bay windows, while upstairs the library boasts an extensive collection of reference (shelving over 10,000 books), non-fiction and literature as well as a large outdoor deck with a view that offers a panoramic lesson in Bay Area geography. Parents are an important and very active part of our community. They assist teachers in the classroom, chaperone field trips, help in the library, supervise students in the yard, and work in the office. They also help teachers by communicating important event information to our families. Our extremely involved PTA runs our Carnival; Halloween event; Winter Arts, Crafts, and Food Fair; and organizes our many classroom volunteers. Parents also contribute as members of our School Governance Council (SGC) who are instrumental in writing our school site plan. We have a parent participation rate for parent-teacher conferences of about 90 percent. We have different support services offered at our school. We are the only school in Berkeley that has a Counseling-Enriched Class for students who are in 3rd, 4th, and 5th grade. Our students and families have access to counseling services 5 days a week. We have our RTI/ULSS Team (Universal Learning Support Services) support team that provides intervention services to our students throughout the school day. 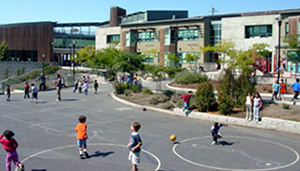 Families have the opportunity to enroll their students in the After-School Program for extended school day where students receive homework support , targeted intervention , and can enroll in an assortment of enrichment classes that are hosted by our After-School Program through LEARNS and PTA sponsored classes. Some of our students receive academic tutoring by Cragmont staff and/or by UC Berkeley tutors. Our hardworking PTA raised approximately $100,000 last year through its many fundraising events. We receive minigrants for classroom projects from the Berkeley Public Education Foundation and a Berkeley non-profit foundation called In Dulci Jubilo. We also benefit from Berkeley Schools Excellence Project (BSEP) tax revenues, which are used primarily for our music and arts program. Cragmont offers a wide variety of enrichment programs for all grade levels. We are also fortunate to be a Two-Way Immersion School that has native speakers of English and native speakers of Spanish from grades K to 5th. Our goal is for students to become fluent and literate in English and Spanish. The program design emphasizes Spanish in the early grades and English in later grades. At Cragmont you get to learn more than one language. You can make lots of friends. It’s funner in both languages. I feel very welcomed to participate in my child’s education, along with the entire Cragmont Community, as much as I can. Our school’s rigorous, well-rounded curriculum, along with supportive and diverse learning community, provides a place where all students can succeed and achieve. I am inspired by the wonder, excitement, and curiosity that students bring to the classroom each day. The enthusiasm for learning at Cragmont is contagious!